Nice feral tanking cloak dropped from AQ20, Ossirian! The extra armor on this will give the bear roughly 400 armor, 180 hp! This is a nice warrior tank cloak as well, because strenght is a good stat, increasing block value and AP! As far as raid boss loot drops in the old world content, there is nothing better than this cloak right here for avoidance tanks now that Naxxramas is no longer available to 60s and thus the Crypt Fiend Silk Cloak is eliminated from loot tables. Prior to obtaining this you might want to look into getting Overlord's Embrace from Jin'do the Hexxer. They both provide the same amount of avoidance, however the Overlord's Embrace loses out on the slight boost of +3 armor, +12 strength, and +2 stamina. Not superly large upgrades, but for a Death Knight having the strength on this cloak will help to fend off attacks using your parry. Warriors and paladins may consider continuing to use the Overlord's Embrace to up their blocking and thus soften the damage they might take. 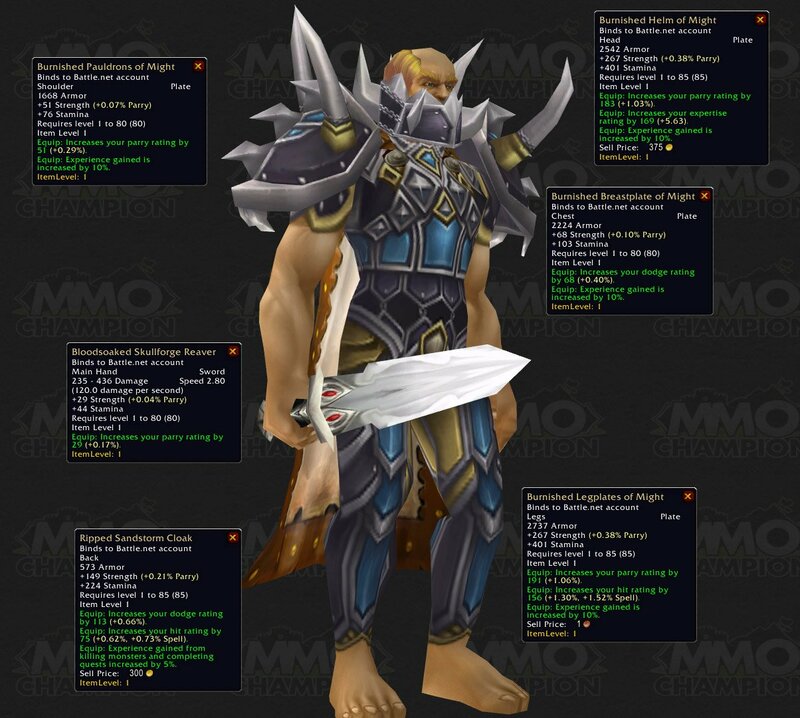 This cloak is getting Heirloom'ified in Patch 4.1, with the addition of new tanking heirlooms. Pretty sure Darude drops this.